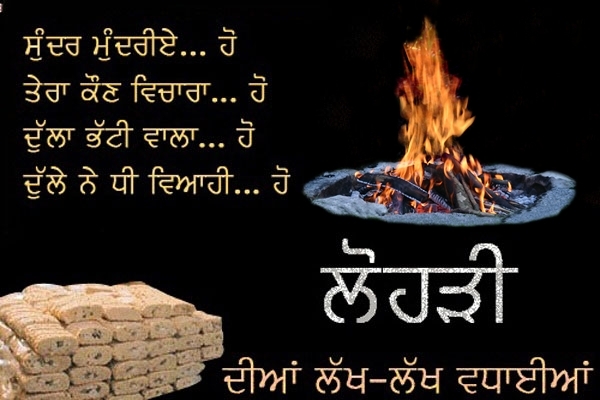 Happy Lohri 2019 Latest Greeting, Wishes in Punjabi '+g+"
Ho; Dullah Bhatti Walla! Ho; Dullahe Di Dhee Vyayae! Ho; Ser Shakkar Payee! Ho! May God be your saviour like Dulla Bhatti at all times. Happy Lohri!